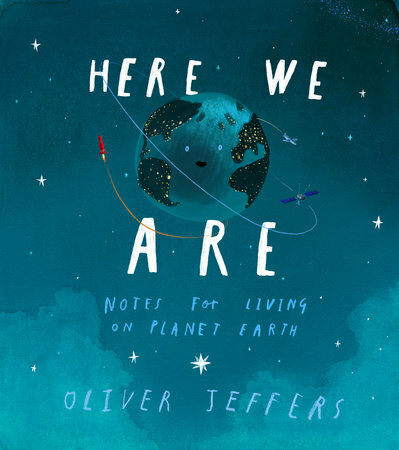 Author of popular children’s books such as How to Catch a Star and Lost and Found, Jeffers has forayed into the world of non-fiction writing with his latest offering Here We Are- Notes for Living on Planet Earth. In this wonderfully illustrated book, Jeffers takes his readers on a tour of Earth where he manages to encapsulate key messages of acceptance, kindness and caring for the planet (and its inhabitants) in a simple yet effective way. Whilst the simplicity of the heartfelt messages conveyed in this book make it suitable for children of a young age, there is certainly scope for deeper conversations with older children too, making this a perfect book for children of all ages! Not only is Here We Are a great read, it is also a fantastic book that could be used within the classroom with the potential to explore different themes such as diversity and caring for our home (locally and globally). Whether you choose to gift this book or to use it within the classroom, it is a book that will be treasured by all. Here We Are is available to purchase at most book retailers. Happy reading!